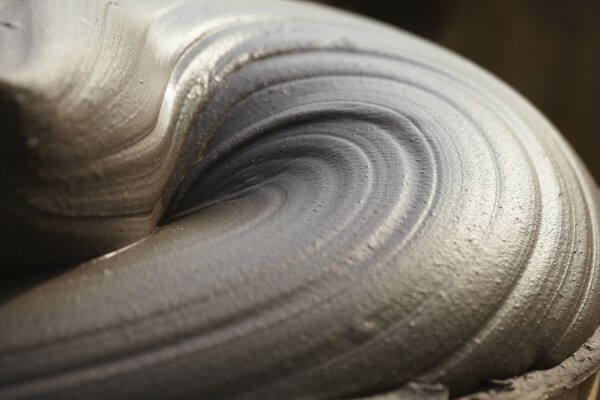 The thermal mud of Abano and Montegrotto. The thermal water plays an important role in the ripening process of the mud and of his therapeutic properties. 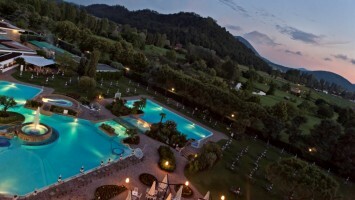 The thermal mud of Abano and Montegrotto is a mixture of clay, thermal water and microorganisms. Every thermal hotel has special tanks where the ripening process of the mud takes place. During 2-3 months the mud is kept in constant contact with a steady flow of thermal water at a temperature of 60°C. The temperature and chemical components in the thermal waters affect the development of particular strains of microbes, modifying the chemical-physical properties and imparting the therapeutic properties, especially the anti-inflammatory ones without side effects.